What are Cash Disbursement Services? Here at Shiodome Partners Group, we offer convenient cash disbursement services for clients who want hassle-free, timely payments made to creditors, employees, social insurance, and tax obligations without the overhead of an internal accounts payable department. Most clients prefer to include this popular option with our standard accounting services because of the added savings from reduced internal expenses, as well as the improved financial control that comes with guaranteed accuracy and timeliness of payment transactions. In addition, if you need to hold any bills or have special instructions, you can always count on us to carry out your instructions to your specifications. 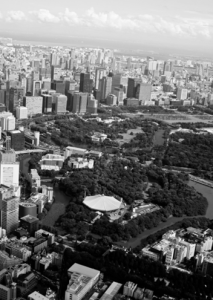 Shiodome Partners Group is one of the leading providers of corporate accounting services in the metropolitan Tokyo area. If you would like more information about our cash management services, or if you are seeking professional assistance for your company’s accounting, we can help. To schedule a consultation, you can contact us at inquiry@shiodome.co.jp or call our office at 81-3-6228-5505 . If you prefer, you can also submit a Contact Request Form at your convenience.